Total Body Diet for Dummies is your expert-led guide to losing weight — and keeping it off — the healthy way. It's easy to fall into the trap of fad diets with their promises of fast results and little effort, but fad diets are often ineffective at best, or downright dangerous at worst. This book gives you the benefit of expertise instead, putting Academy of Nutrition and Dietetics guidelines right at your fingertips. You'll learn why physical activity, calorie counting, and psychological support are the cornerstones of successful and lasting weight loss, and why you should track your food intake, exercise, and sleep. You'll learn all about the various tools that can help you reach your goals, including mindful eating, wearable technology and mobile apps, and how to choose the right ones for you. Written by a registered dietitian nutritionist, these easy-to-follow and simple-to-apply tips will help you develop a customized weight loss plan without upending your day-to-day life or breaking your budget. Losing weight is not about 'magical' foods or self-deprivation. It's about your overall pattern of food intake, and most foods can fit into a healthy pattern in moderation. You just need to learn how to do it mindfully. 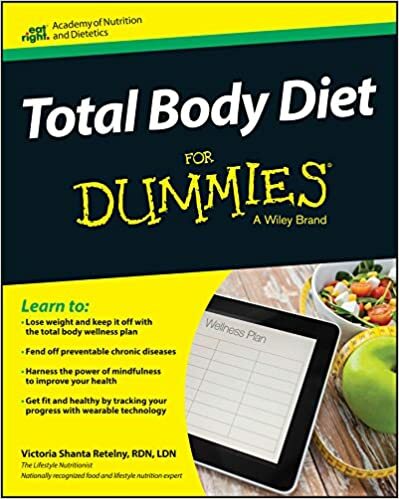 Total Body Diet for Dummies is the supportive, informative guide you need to get right on track to a healthier you.